Small family/peasant farms produce most of the world’s food. They form the bedrock of global food production. Yet they are being squeezed onto less than a quarter of the planet’s farmland. The world is fast losing farms and farmers through the concentration of land into the hands of rich and powerful land speculators and agribusiness corporations. By definition, peasant agriculture prioritises food production for local and national markets as well as for farmers’ own families. Big agritech corporations on the other hand take over scarce fertile land and prioritise commodities or export crops for profit and foreign markets that tend to cater for the needs of the urban affluent. This process displaces farmers from their land and brings about food insecurity, poverty and hunger. What big agribusiness with its industrial model of globalised agriculture claims to be doing – addressing global hunger and food shortages – is doing nothing of the sort. There is enough evidence to show that its activities actually lead to hunger and poverty – something that the likes of GMO-agribusiness-neoliberal apologists might like to consider when they propagandize about choice, democracy and hunger: issues that they seem unable to grasp, at least beyond a self-serving superficial level. Small farmers are being criminalised, taken to court and even made to disappear when it comes to the struggle for land. They are constantly exposed to systematic expulsion from their land by foreign corporations. The Oakland Institute has stated that now a new generation of institutional investors, including hedge funds, private equity and pension funds, is eager to capitalise on global farmland as a new and highly desirable asset class. Financial returns are what matter to these entities, not ensuring food security. Consider Ukraine, for example. Small farmers operate 16% of agricultural land, but provide 55% of agricultural output, including: 97% of potatoes, 97% of honey, 88% of vegetables, 83% of fruits and berries and 80% of milk. It is clear that Ukraine’s small farms are delivering impressive outputs. However, The US-backed toppling of that country’s government seems likely to change this with the installed puppet regime handing over agriculture to US agribusiness. Current ‘aid’ packages are contingent on the plundering of the economy under the guise of ‘austerity’ reforms and will have a devastating impact on Ukrainians’ standard of living and increase poverty in the country. Reforms mandated by the EU-backed loan include agricultural deregulation that is intended to benefit foreign agribusiness corporations. Natural resource and land policy shifts are intended to facilitate the foreign corporate takeover of enormous tracts of land. (From 2016, foreign private investors will no longer be prohibited from buying land.) Moreover, the EU Association Agreement includes a clause requiring both parties to cooperate to extend the use of biotechnology, including GMOs. In other words, events in Ukraine are helping (and were designed to help) the likes of Monsanto to gain a firm hold over the country’s agriculture. Frederic Mousseau, Policy Director of the Oakland Institute last year stated that the World Bank and IMF are intent on opening up foreign markets to Western corporations and that the high stakes around control of Ukraine’s vast agricultural sector, the world’s third largest exporter of corn and fifth largest exporter of wheat, constitute an oft-overlooked critical factor. He added that in recent years, foreign corporations have acquired more than 1.6 million hectares of Ukrainian land. Western agribusiness had been coveting Ukraine’s agriculture sector for quite some time, long before the coup. It after all contains one third of all arable land in Europe. An article posted on Oriental Review notes that since the mid-90s the Ukrainian-Americans at the helm of the US-Ukraine Business Council had been instrumental in encouraging the foreign control of Ukrainian agriculture. 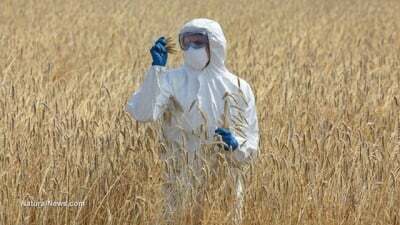 In November 2013, the Ukrainian Agrarian Confederation drafted a legal amendment that would benefit global agribusiness producers by allowing the widespread use of genetically modified seeds. Oriental Review notes that when GMO crops were legally introduced onto the Ukrainian market in 2013, they were planted in up to 70% of all soybean fields, 10-20% of cornfields, and over 10% of all sunflower fields, according to various estimates (or 3% of the country’s total farmland). It amounts to little more than the start of the US colonisation of Ukraine’s seed and agriculture sector. This corporate power grab will be assisted by local banks. Apparently these banks will only offer favourable credit terms to those farmers who agree to use certified herbicides: those that are manufactured by Monsanto. Interestingly, the investment fund Siguler Guff &amp; Co has recently acquired a 50% stake in the Ukrainian Port of Illichivsk, which specialises in agricultural exports. We need look no further than to Ukraine’s immediate neighbour Poland to see the devastating impact on farmers that Western agribusiness concerns are having there. Land grabs by foreign capital and the threat to traditional (often organic) agriculture have sparked mass protests as big agribusiness seeks to monopolise the food supply from field to plate. The writing is on the wall for Ukraine. The situation is not unique to Poland, though; the impact of policies that favour big agribusiness and foreign capital are causing hardship, impacting health and destroying traditional agriculture across the world, from India and Argentina to Brazil and Mexico and beyond. The US has since 1945 used agriculture as a tool with which to control countries. And today what is happening in Ukraine is part of the wider US geopolitical plan to drive a wedge between Ukraine and Russia and to subjugate the country. While the Transatlantic Trade and Investment Partnership (TTIP) is intended to integrate the wider EU region with the US economy (again ‘subjugate’ may be a more apt word), by introducing GMOs into Ukraine and striving to eventually incorporate the country into the EU the hope is that under the banner of ‘free trade’ Monsanto’s aim of getting this technology into the EU and onto the plates of Europeans will become that much easier. Colin Todhunter is an extensively published independent writer and former social policy reader.